I have a thing for masquerade masks! I find them fascinating and full of the history of Venice. I like them mostly because they are a visual reminder of a concept that was imparted to me some time ago: we each have a treasure in our hearts that needs digging up! This treasure is about the TRUTH of OUR IDENTITY! Sometimes, we need someone to help us dig for that treasure! This week, my partner in digging was my life coach Eva! She helped me get FRESH EYES! "FRESH EYES" is a new perspective that is gained by digging inside your heart for the treasure hidden within. That treasure was intentionally placed in EACH of our hearts, waiting for us to dig it out. It's about who we are and what we have been created for! 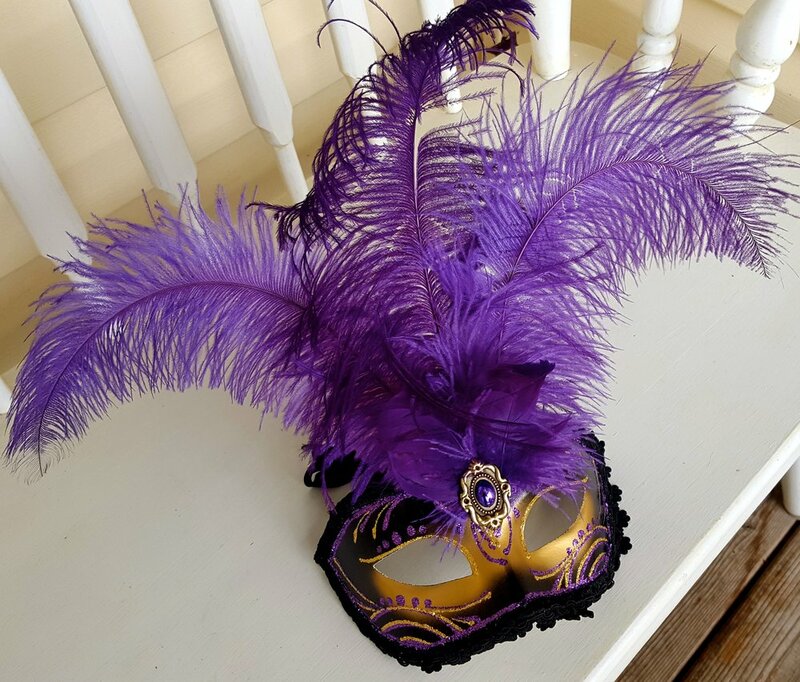 Have you ever worn a mask for a masquerade ball? My husband Hamish and I did, for the sweet 16 of a very special young lady. Do you know what I noticed most that evening? I looked fantastic, but I couldn't see a thing! I couldn't get any visual perception. My sight was limited by the edges of the mask. Do you feel that what you see is limited by the edges of your underlying beliefs, your thoughts, your emotions, your fears, your past experiences? The reality you then create with your thoughts can be quite convincing. But is it true? The truth doesn't depend upon your feelings. But the perception of the truth can be greatly influenced by how you feel. My passion is to help visionary women intentionally live a life driven by their IDENTITY. Funny enough, just this week, I shared with my life coach Eva how I had realized that I had gotten stuck! Stuck in the belief, caused by fear, that my business would fail. My fear of failure was completely paralyzing me. I had forgotten my IDENTITY. Once I named the fear, Eva immediately encouraged me to be brave and challenge the fear with the TRUTH! She helped me reframe my perspective with FRESH EYES! My fear based thoughts were NOT the reality! Sometimes, we discover a treasure but through time, life experiences, hurts, etc, the treasure of truth inadvertently gets reburied...Treasures cannot stay buried! They must be dug up! There is a treasure of TRUTH firmly imbedded in each of our hearts! Once I faced my fear, and dug for the TRUTH OF MY IDENTITY and what I was created for, I was able to get unstuck and move forward! The truth is that I am confident, resourceful, determined and my fear cannot stand against that truth! To use our fresh eyes is to be transformed from the inside out!